In 1996, my friend’s answering machine’s outgoing messages was the the first 30 seconds of Wesley Willis’s song, Jesus is the Answer. 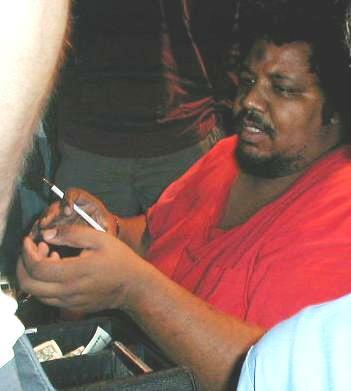 That I’ve posted about Wesley Willis will remind my wife about Wesley Willis and she will probably listen to his music for at least a day. Wesley Willis’s ties to the DC Comics universe were previously limited to which superheroes’ asses he whupped, but the late cult singer and visual artist from Chicago is now in DC’s very family—or rather, Wonder Woman’s family.